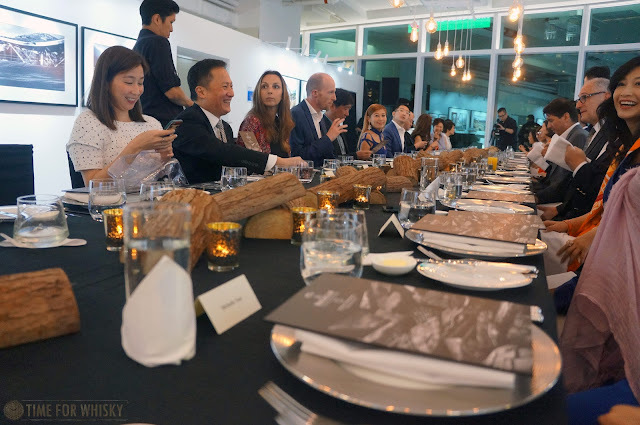 We've been fortunate since moving to HK to attend some brilliant Macallan events (particularly lately), including a few for the various "Masters of Photography" releases. First it was the Mario Testino (5th) Edition, then last year's Steven Klein (6th) Edition (we also tasted one of the 58 different Elliott Erwitt (4th) editions), and this week we attended the launch of the 7th edition - the "Magnum Edition", celebrating the new distillery via the work of 6 Magnum photographers. One thing I like about the "MoP" series is they don't follow any rules when it comes to the whisky's make up. Single cask, vattings, age statement, NAS - doesn't matter. The whisky is designed to reflect the nature of the photographers / photography, and over the years there's been some really interesting releases (The Mario Testino Edition especially, being a vatting of 6 casks, with the package including a miniature of each of the 6 casks). 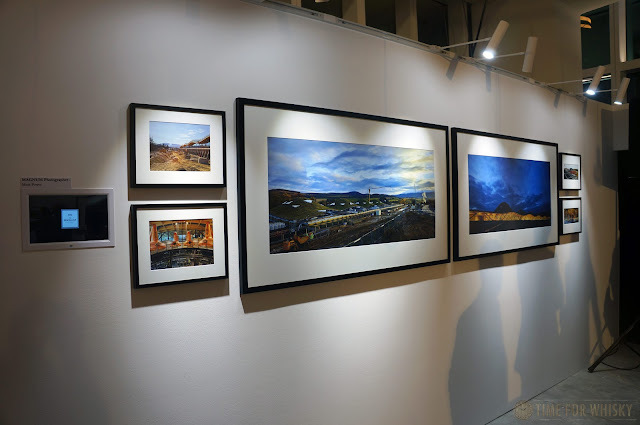 The new "Magnum Edition" is also a vatting, of 7 casks, and whilst you can read the detail about how each cask reflects its photographers personality here, the one thing that really interested me was that one of the casks was an ex-Rioja cask - apparently one of only 3(!) the distillery has ever done. 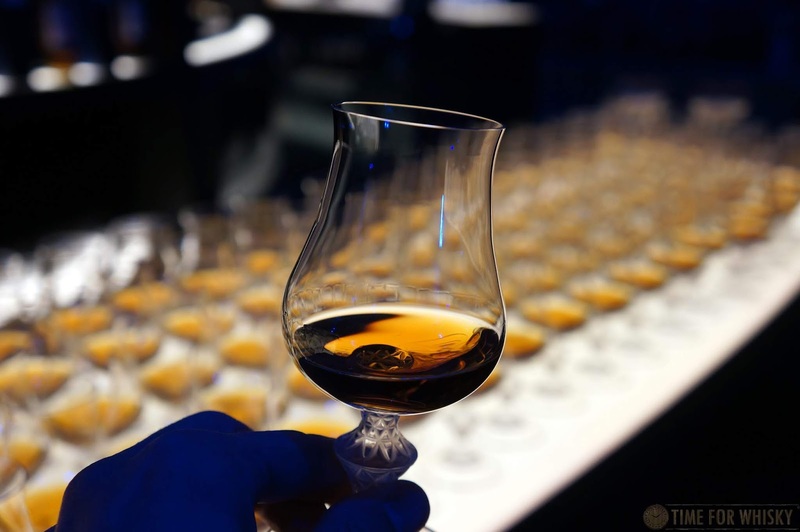 Bottled at 43.7%, the whisky carries no age but after spending a good amount of time nosing and tasting it (see below), it's clearly not young. I'd hazard a guess the majority of the casks would be north of 20 years old (but that's just a guess). 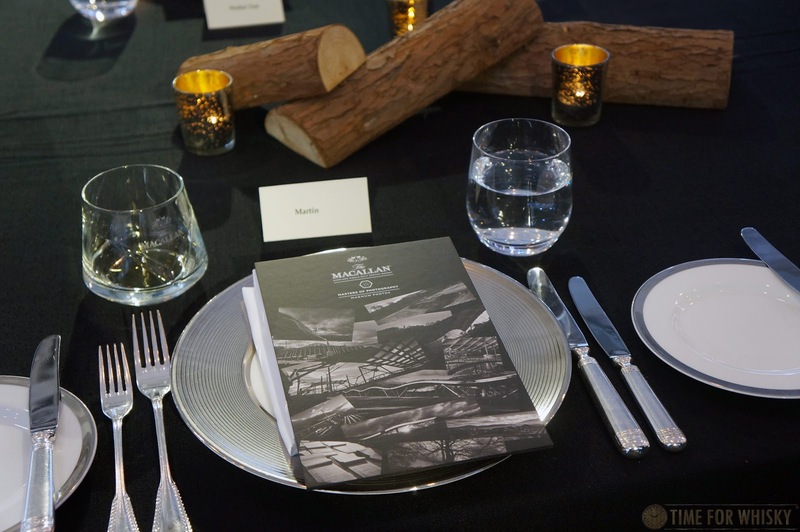 ("Triple Cask" being the new name for the "Fine Oak" series originally launched in 2004). Colour: Yellow gold with a reddish tinge. Nose: Fruity creme brûlée at first. Toffee apples. Then you get this subtle, but definitely noticeable smoke. 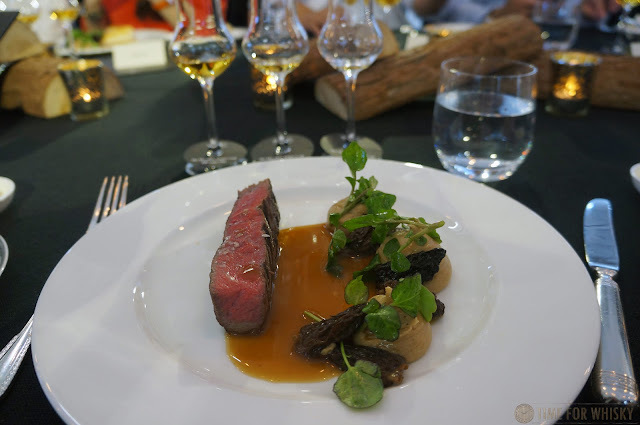 Not big Islay-style peat (although one of the casks was "peated", we learned), but a definite dry, dusty, earthen smoke. There's some tobacco and aged leather, and after some time, some burnt orange peel. Palate: Dry - very dry, with oak tannins quite noticeable. There's also some grassy tobacco, butterscotch, some hints of mandarin peel and more smoke, but underneath it all, an undercurrent of dry oak tannins. Finish: Extremely long, with the oak tannins carrying right through. Rating (on my very non-scientific scale): 90/100. One that definitely needs time, and the more time you give it, the more you discover. To me, that complexity is something I look for in a whisky, so it scores well because of that. Whilst the palate didn't appeal to me as much as something like Edition 4, or a juicy old Macallan Cask Strength 10yo, it's still quite enjoyable (taste-wise), and the nose is definitely intriguing and hugely complex. 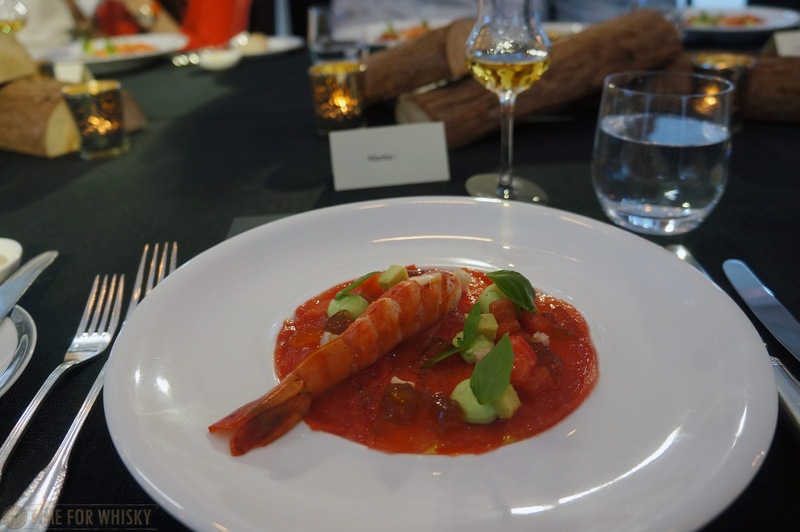 Taste is a matter of opinion and plenty of others on the night really enjoyed the taste. Either way, it's definitely one to sit with and enjoy. The Macallan Masters of Photography "Magnum Edition" is available for $26,600HKD, with a limited allocation of 72 (of 2,000) bottles coming to HK. 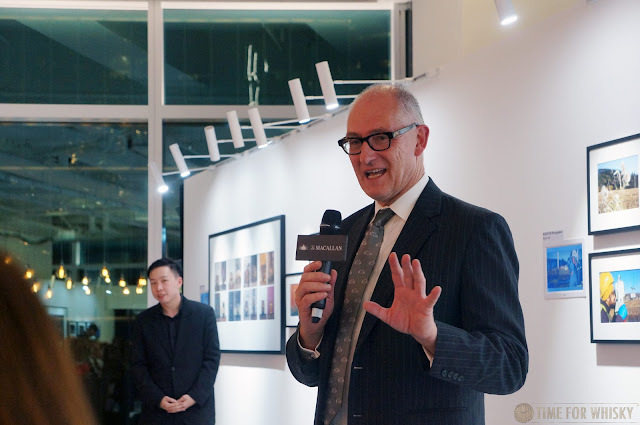 Thanks again to Edrington Hong Kong for another successful Macallan launch. 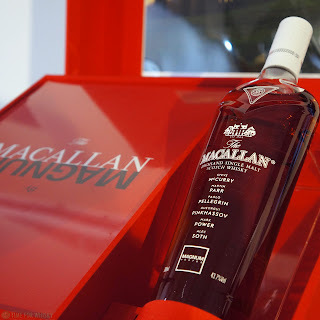 As mentioned a few weeks ago, at the launch of The Macallan's new distillery and visitor centre we were treated to a spectacularly rare whisky - a Macallan, in which the youngest Macallan was 55yo, of which there were only 20 bottles, and which was served only to guests of the distillery launch events for a week in May. As far as welcome drams go, it's fair to say it was a good one. Upon picking up a glass, we weren't given any details at all. 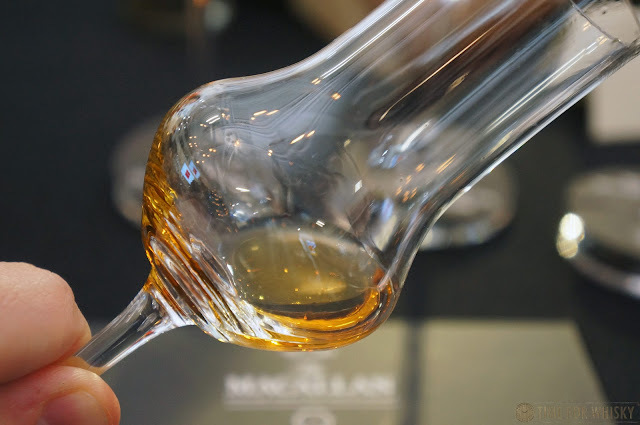 We were asked to hold off for a few minutes until a toast was made, but that didn't stop me giving it a good long nose...which was all I needed to tell me this wasn't your average sherried Macallan. This was something unique. We later learned it was a special bottling, released only for the distillery launch events, but weren't given any other details apart from its age. A few days later, Siobhan Sellers (@herguide) posted up the following post (edit: since removed), confirming the ABV (50.3%). I'm sure I also read somewhere that it was limited to 20 bottles, but can't seem to find that info anymore. Nose: Sweet orange zest initially. Sultanas. Sultana Bran, figs and sweet dates...but so much more. Leather. Slightest hints of smoke, nutmeg and mince pies. If you search hard enough, some dunnage warehouse. 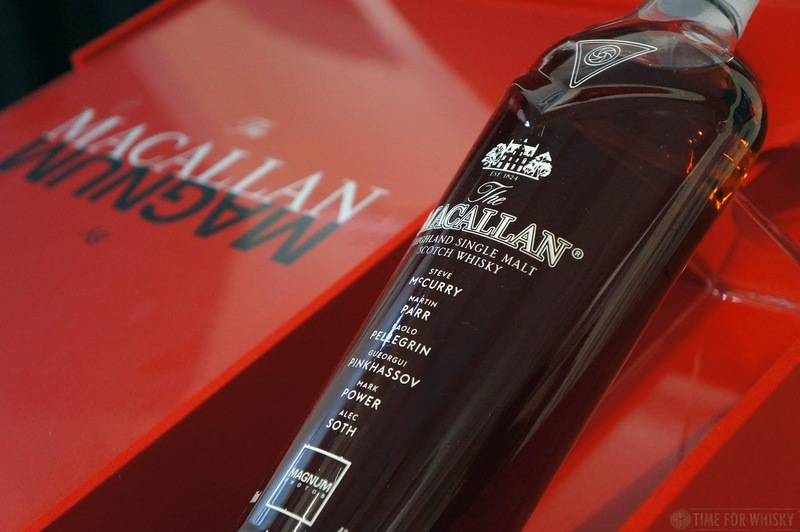 Clean, beautifully sherried and complex. Palate: Raisins dusted with nutmeg. Some pepper. Apples, cloves, more orange, but then...grapefruit? Lots of grapefruit - both flesh and hints of zest. 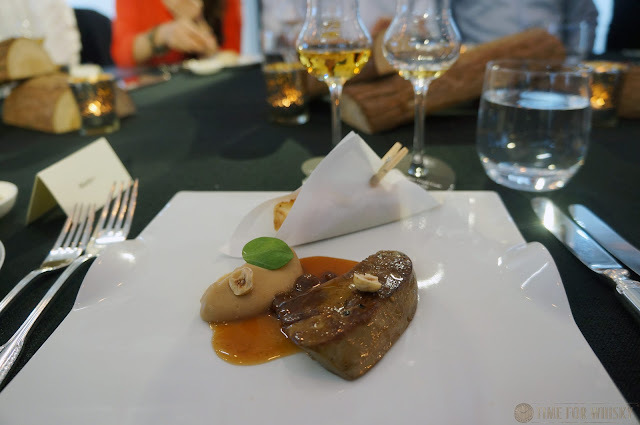 Ginger, dried fig and candied apricots...this dram had a lot going on, and it was all delicious. 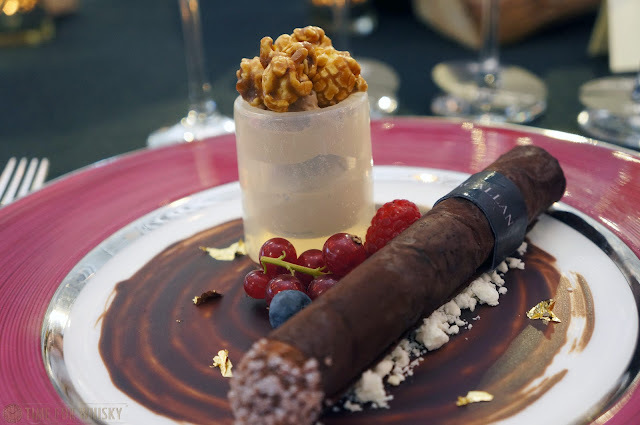 Finish: Long with a slight citrus bittnerness leading to a subtle, lingering earthy smoke. Rating (on my very non-scientific scale): 92/100. Delicious, just a beautiful example of an incredibly well-aged sherried whisky. To enjoy it amongst friends, as one of the first in the world to tour the new Macallan Distillery was just an incredible experience. 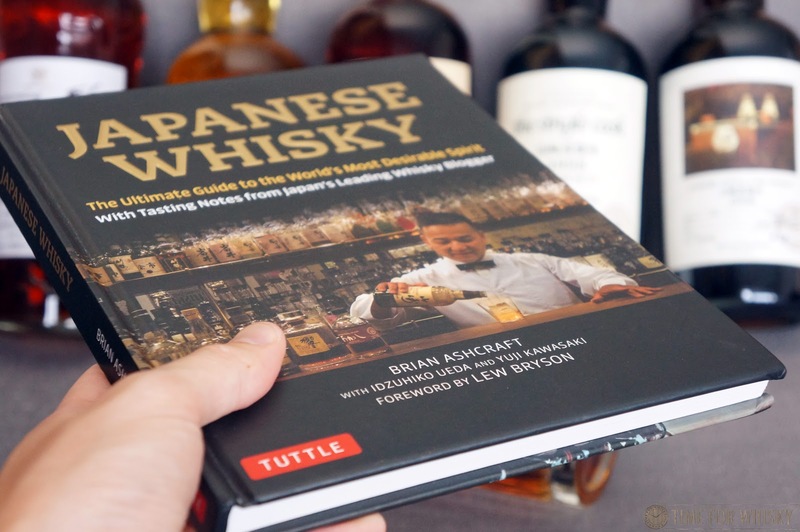 New Book Review - "Japanese Whisky: The ultimate guide to the world's most desirable spirit"
A new book came across the TimeforWhisky desk recently, titled "Japanese Whisky: The Ultimate Guide to the World's Most Desirable Spirit". As a lover of Japanese whisky, not to mention a good whisky book every now and then, I was keen to dive in. 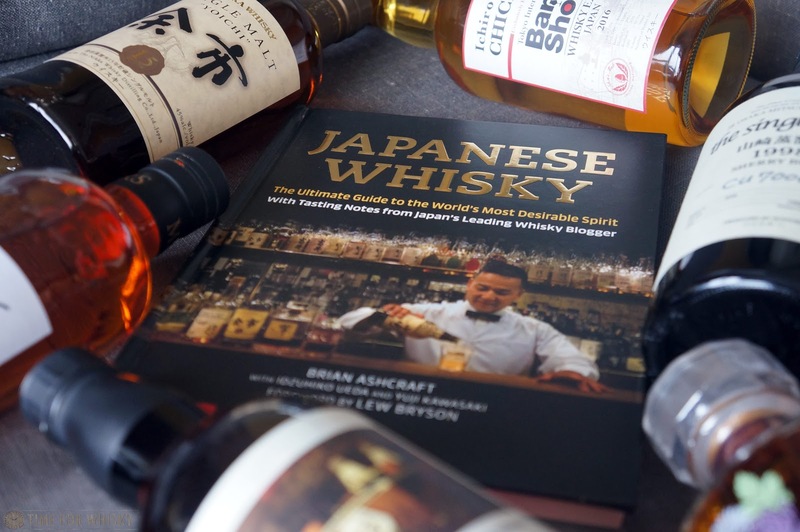 Written by Brian Ashcraft, the 140+ page hardcover suits both beginners and fanatics alike, covering the history of Japanese whisky (both modern and ancient), its ties to sake and Shochu, the production process, the uniqueness of Mizunara and Japanese drinking culture. ..and that's just in the first 55 or so pages. The remaining pages are dedicated to the "big boys" of Japanese whisky distilling and their products. 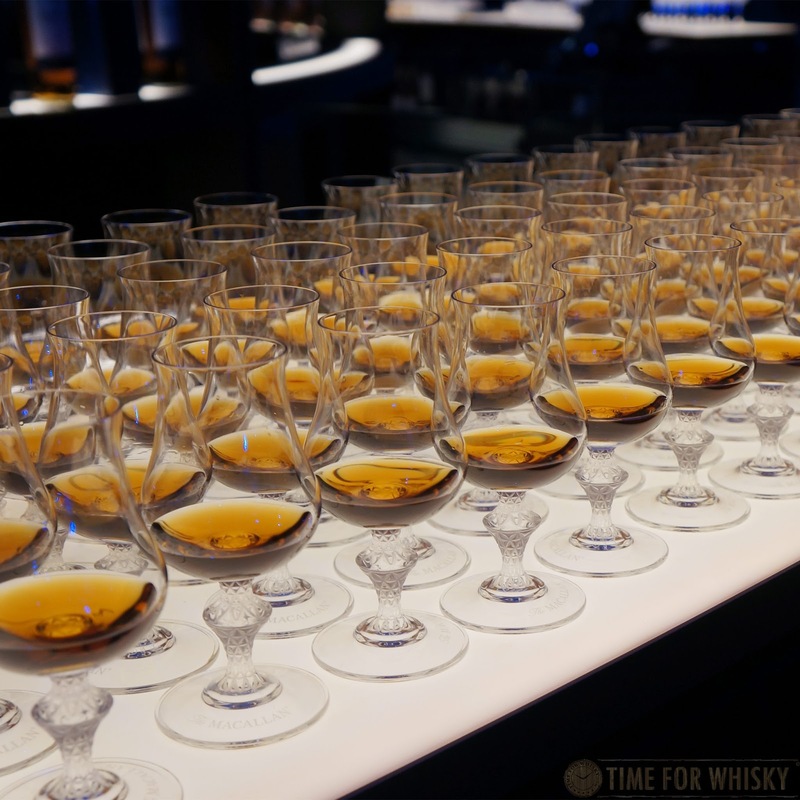 Yamazaki, White Oak, Yoichi, Mars Shinshu, Fuji Gotemba and Chichibu are all covered, with detailed tasting notes and scores on a number of whiskies from each (15 tasting notes for Venture Whisky / Chichibu alone). All up, there are more than 100 tasting notes, all by Japanese whisky reviewer and blogger Yuji Kawasaki. 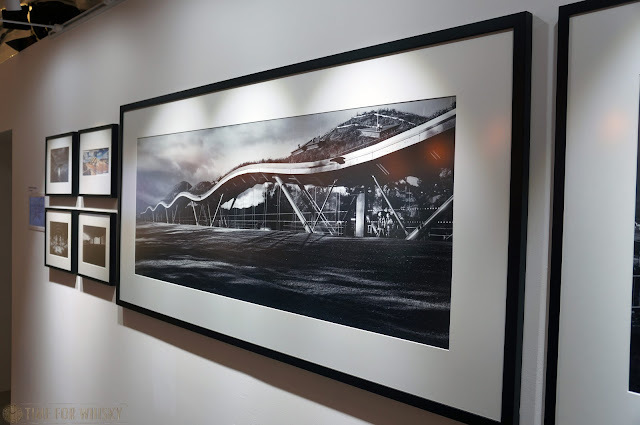 The book is striking in its (extensive and exclusive) photography, with large, vivid photos of distilleries, production processes and products, not to mention historical artefacts (older release whiskies, advertisements, and people). There's even coverage of Japan's bar scene and culture, which (as readers of this blog and followers of our Facebook and Instagram pages might know) is something we're a little bit obsessed with. 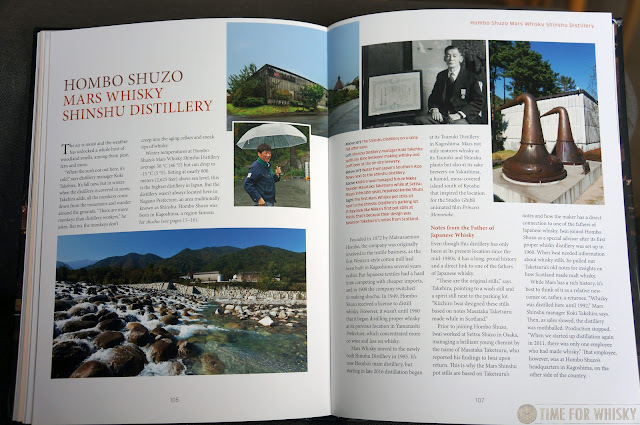 There have been a few great books on Japanese whisky released recently, each of them with a slightly different focus. 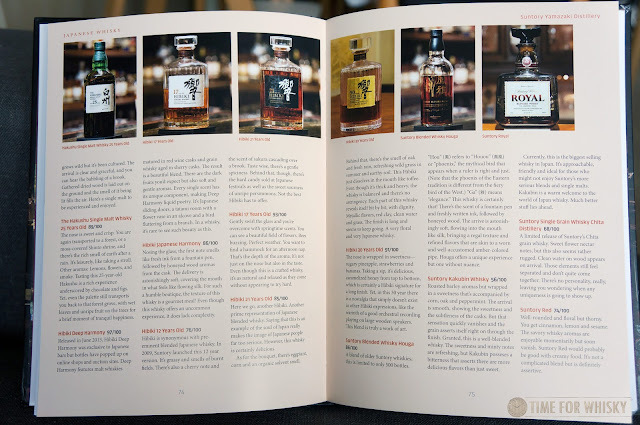 In it's 140ish pages, "Japanese Whisky: The Ultimate Guide to the World's Most Desirable Spirit" successfully manages to appeal to a wide audience with a mix of history, facts, opinion, humour and insider detail, all accompanied by stunning imagery and wrapped up in an easy-to-read format. Whilst I like to think I know a decent amount about Japanese whisky, I have to admit I learned a few things reading this. Definitely recommended for Japanese whisky lovers and those looking to learn more. Thanks to Brian Ashcraft and Tuttle Publishing for the review copy.